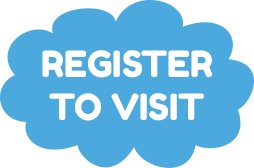 Just four days until the UK nursery industry joins together for Harrogate International Nursery Fair – the UK’s only baby trade show – and if current vibes are anything to go by, this year will certainly be an event to remember. 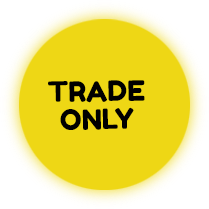 Show offers are being updated daily – so be sure to check out details online, there are lots of huge savings up for grabs. 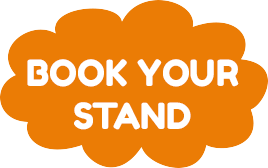 Exhibitors are also sending in details of some of the fabulous products they will be bringing to the event – we are including as many as possible in our newsletters, but this is just a tiny snapshot of the huge array of baby products available at the show. 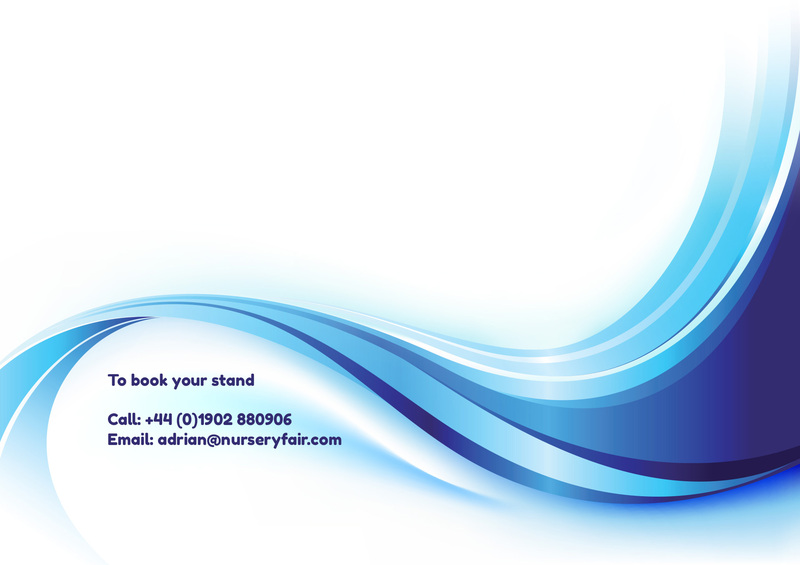 Visit www.nurseryfair.com for full information. Ziggle is delighted to present its multi-award-winning baby accessories at the show. Previously known as Zippy Baby, the brand has completely re-launched for 2019 and will be showcasing its new branding, new products and a show offer of a free spinner stand. 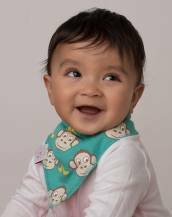 With the most absorbent bibs, cosiest blankets, funkiest leggings and softest muslins, all available from stock, Ziggle makes it easy to cater for every baby gift opportunity – and mums love the brand too. 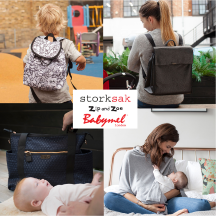 Storksak and Babymel are dedicated to creating beautiful products, thoughtfully tailored to the modern family’s ever-changing needs. The extensive collections combine unrivalled, functional style with practical features and quality detailing in both leather and non-leather fabrics. The Storksak brand now includes Storksak Organics, Storksak Travel and the Mother & Baby Gift Collection of beautifully soft muslins, swaddles, hooded towels, organic nursing shawls and more. Zip and Zoe by Babymel will be showcasing its kid’s range as well as launching the hotly anticipated interactive new Colour & Wash collection. Liip Smart Monitor claims to be the world’s first smart bracelet for baby healthcare and aims to comfort parents, providing them with information about their baby’s well-being, as well as allaying their concerns and doubts as their child grows. 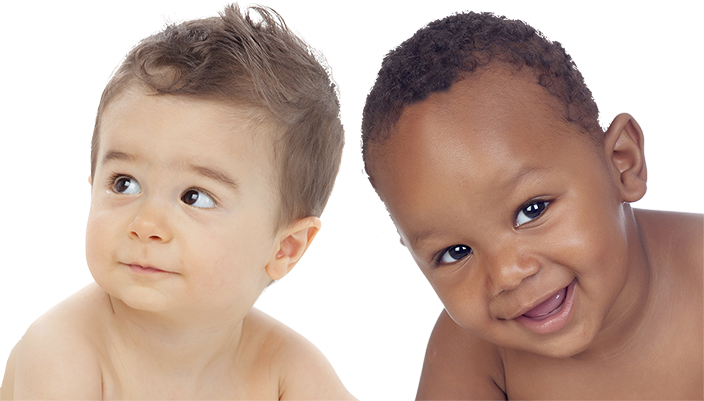 Liip detects and monitors a baby’s main vital signs, such as oxygen levels, heart rate and distal temperature and records them on the LiipCare app. With this unique technology, parents are provided with relevant and valuable information related to their baby’s breathing, heart rate and sleep patterns, a feat not achieved by any other monitoring system presently available. DCUK is proud to present UPPAbaby, which, as well as three stunning new VISTA colours, is launching the new MESA i-SIZE infant carrier at Harrogate. It is R129 compliant and intuitively designed with the SMARTSecure™ system – an easy installation that combines an electronic indicator panel providing visual and audio confirmations to ensure correct installation the first time and every time. A no-rethread harness with Side Impact Protection confirms a proper fit and grows with the child. 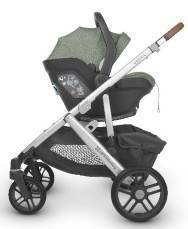 The MESA i-SIZE paired with the VISTA and CRUZ strollers without adapters delivers a travel system that is the ultimate in portability and convenience. Adapters are available for the MINU stroller. A Baby Products Association Concept & Innovation Award finalist, JRNY introduces the META pushchair – believed to be a ‘world first’ system which looks after parent’s needs for their baby from birth to toddling and beyond. The META pushchair provides the ultimate in choice, flexibility and personal tailoring giving customers an experience unlike any other stroller system before. The innovative subscription model offers customers and retailers a unique way to engage with the product and each other, setting a new standard for stroller design and the future of pushchair ownership.